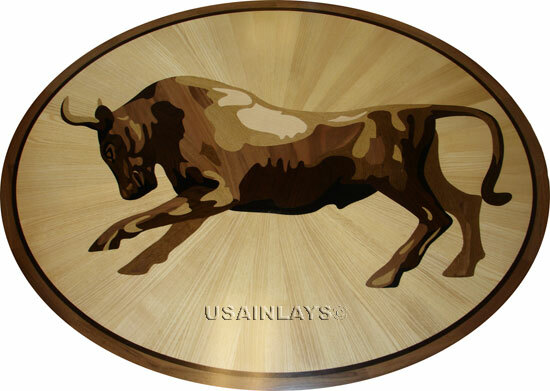 USA Inlays - Your Source for Made in America Decorative Unique Wood Floor Medallions, Borders, Custom Inlays and Parquet Flooring! USA Inlays offers artisan parquet floors, decorative wood floor medallions, wood floor borders that transform homes and businesses into unique showpieces. You can choose flooring designs from our on-line catalog or work with our artists to create your own vision. Installing our hardwood floor medallions and borders is surprisingly easy and affordable. The wood inlay products we sell can be made to a wide variety of specifications so you can decide on size, thickness, and shape. Wood floor medallions, floor inlays, wood flooring borders and custom parquet can be also customized to match your requirements. Options such as wood species, thickness, finish can be specified on-line before placing an order. We are dedicated to provide the best service and value. We are passionate about transforming our customers' dreams into reality. Order from us, and our unsurpassed service, reasonable prices, and exclusive craftsmanship will exceed your highest expectations. Take the time to look around our website.